The party formed when they all took jobs with the mining guilder and nobleman Albrecht Schimmel. At the time the party consisted of Boots, Grabby and Funz—er—Ander. In addition they were accompanied by a stranger from the far east, past the Barrier Mountains, named Raum. Working for Albrecht they acted as troubleshooters and personal muscle, and dealt with anything that he didn't trust his garrison of drunkards and failed soldiers to. Word reached Albrecht that some miners of his in the Orespire Mountain stumbled upon an ancient underground labyrinth of carved tunnels infested with goblins, led by a goblin shaman named Skragg Boneshaker. Albrecht sent the party to clear the tunnels out for a small reward. Before setting out the party hired a small group of men-at-arms, Gerhardt (a young pack-handler and linkboy) and a cleric of the Church of St. Eliah, Brother Cuthbert. After a week of travel they arrived at the mine and delved into the darkness. 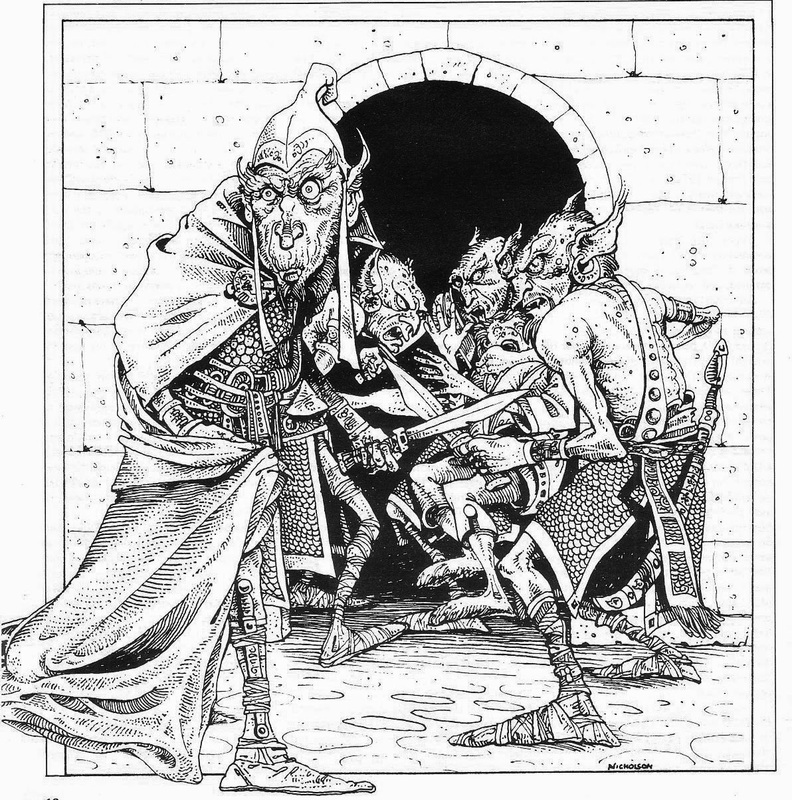 During the course of their adventure they battled many goblins, attempted to set a room on fire, and lost a man-at-arms. There was also an awkward moment when Boots discovered a potion, which he quickly shouted, "POISON!" then smashed the vial against the floor (it was a healing potion). This caused the hired help to be less than confident in their employers. In addition, they also encounterd a watery cavern infested with giant leeches which they managed to slay with Grabby's quick thinking, covering them with dried spices. Eventually they did battle with Skragg, defeating him and collecting his head to claim their reward. During the final battle Brother Cuthbert was slain, and Raum, severely wounded, died from his injuries days later. After the battle, Grabby managed to find a +1 dagger, named... "Mr. Shiney".